1. Raising Nutritional Levels and Rural Development in Kenya 2. Land-Use Competition at the Margins of the Rangelands: An Issue in Development Strategies for Semi-Arid Areas 3. 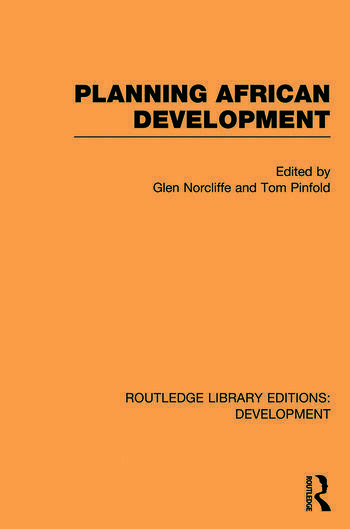 The Rural Non-Farm Sector and the Development Process in Kenya 4. Towards a Locational Policy for Manufacturing Industry in Kenya 5. Coordinating Operating and Investment Procedures: The Need for Balance in Planning and Budgeting 6. Intra-Programme Resource Allocation: the Case of Hospitals in Kenya 7. Accounting Prices for Project Appraisal in Kenya 8. Planning and Evaluation of Rural Electrification in Kenya.